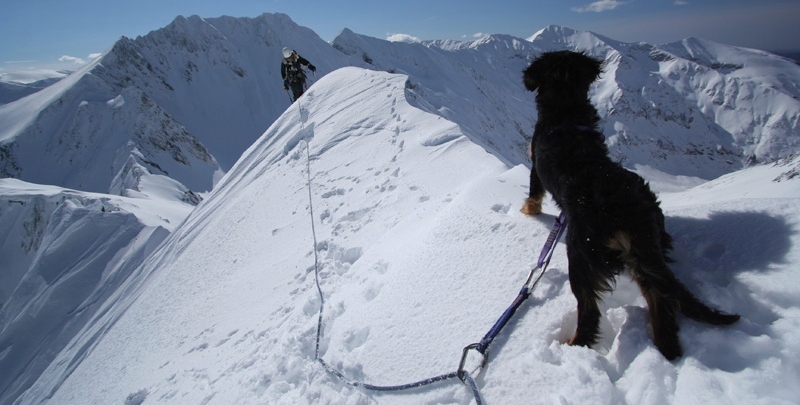 Sunday, 12 Feb 2012, together with Silvia Murgescu we headed towards Valea lui Stan for ice climbing. Valea lui Stan is situated in Fagaras Mountain, as you drive from Curtea de Arges to Lake Vidraru. 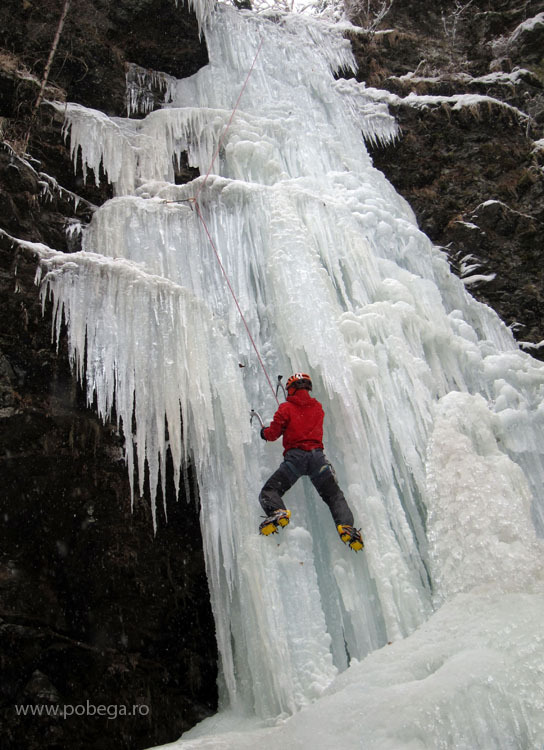 From the road (Transfagarasan) where you leave your car, is only 20 minutes hike to “Airplane” Ice fall. Here is where we spend our day, together with another team of climbers: George (Bivuacu) and Maria. 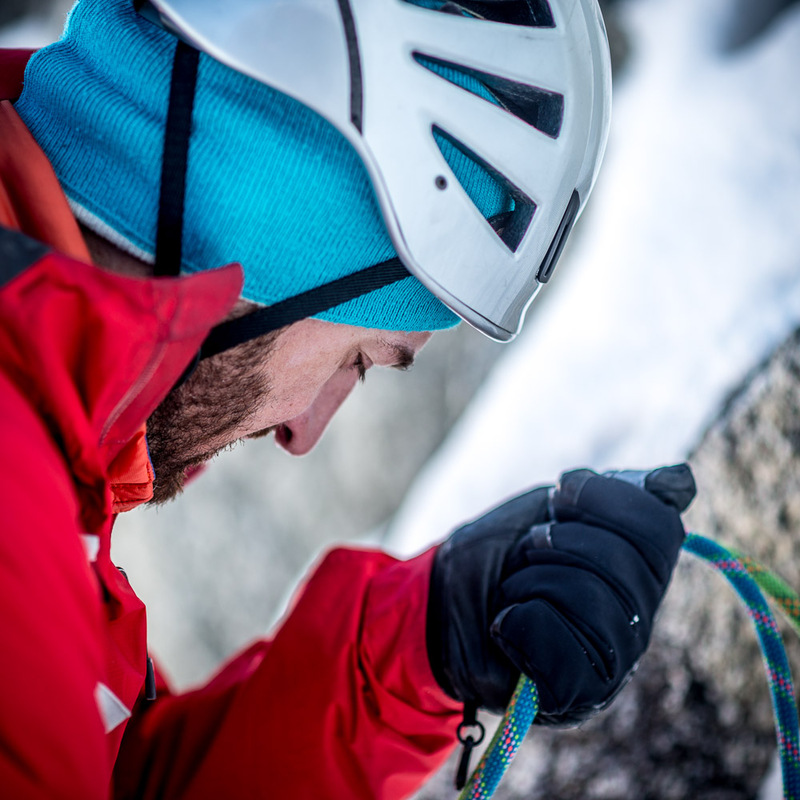 Ice climbing Valea lui Stan from catalin pobega on Vimeo. 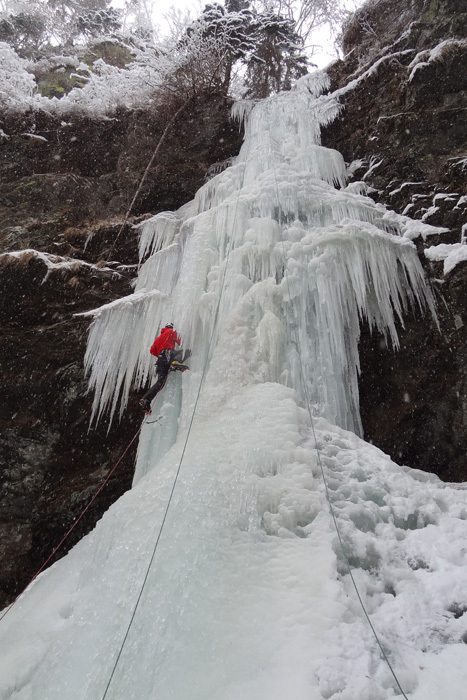 5 ice screws are enough, the ice-fall has around 20-25 m in height. 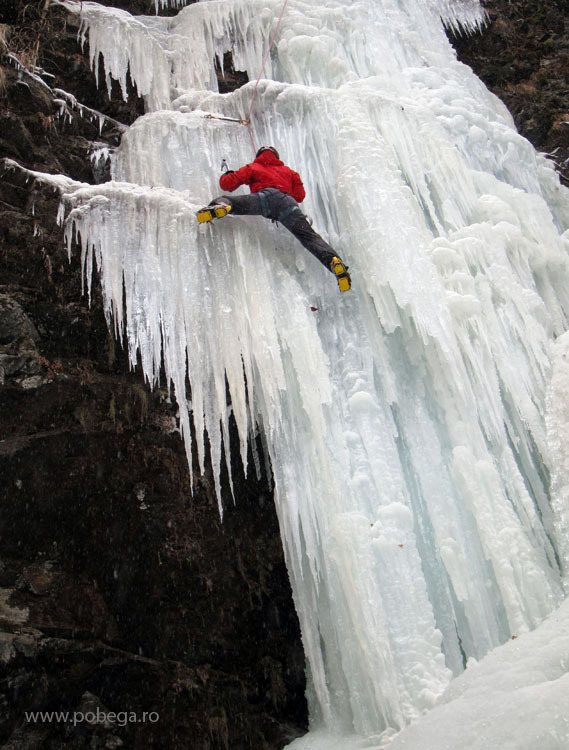 At the top of the ice fall, there is a tree from which you can rappel down. 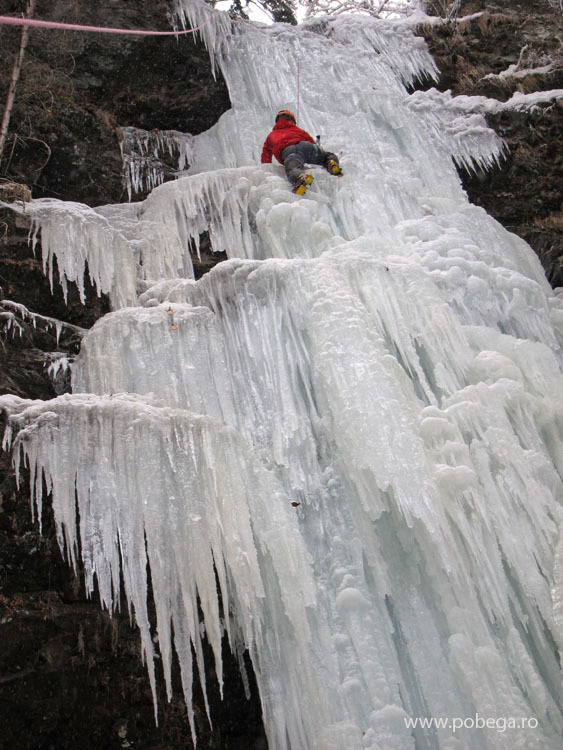 As the ice fall is not so wide in the upper part, and pieces of ice may fall down, 2 teams climbing in the same time is quite dangerous. 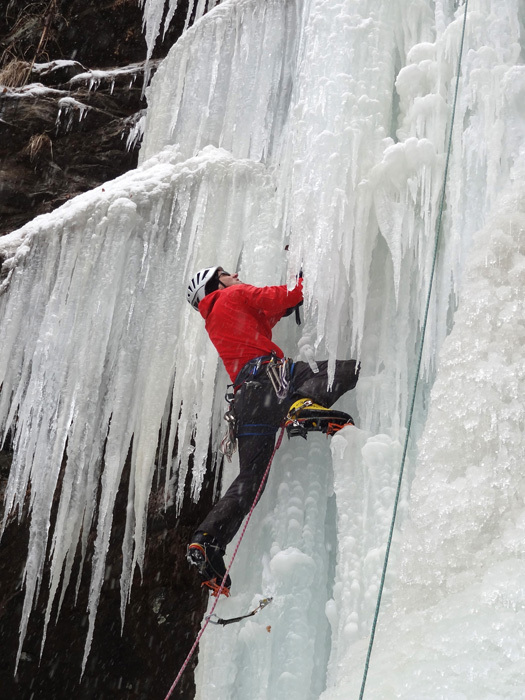 Ski touring Sinaia-Moeciu, 28-29 Jan 2012 Valea lui Stan, ice climbing …again.